Like most kiddie rides, airplane rides go in a simple circle, but offer the twist of riders controlling the altitude at which they "fly". 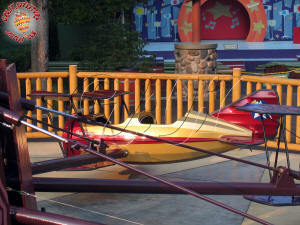 Every park offers some version of this type of ride following the lead of the ever popular Dumbo rides at the Disney parks. 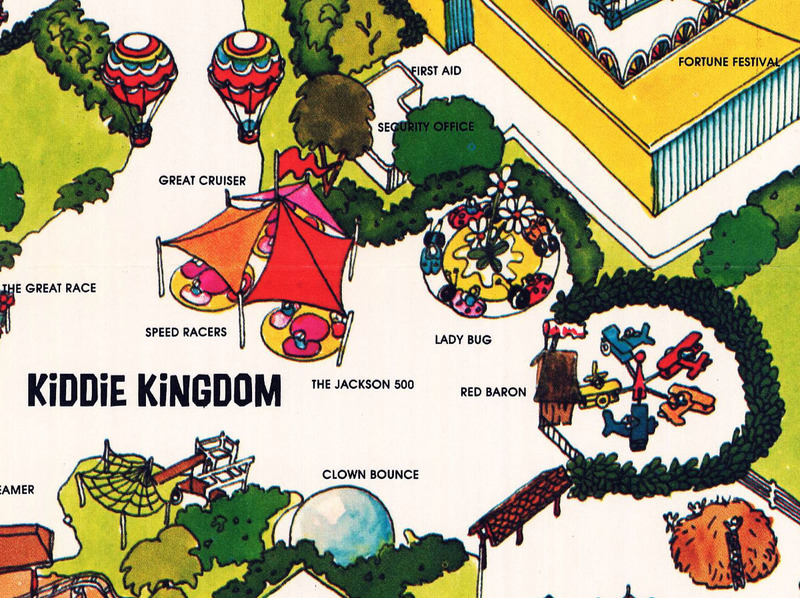 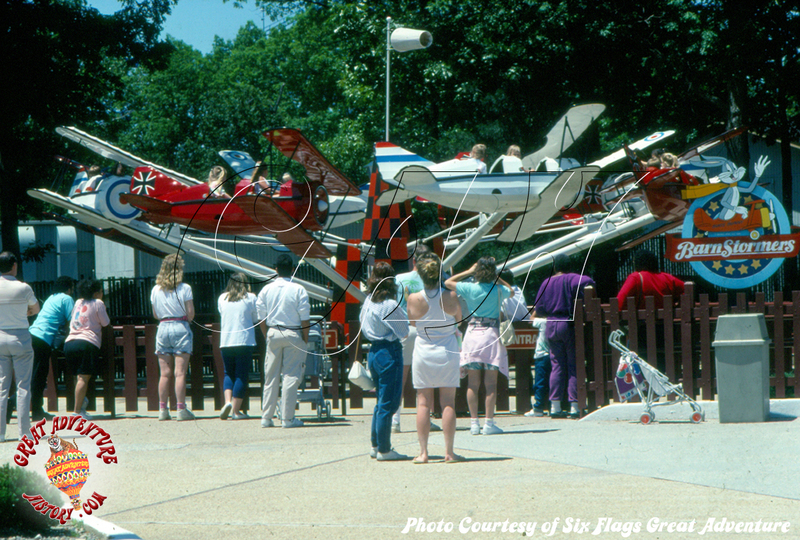 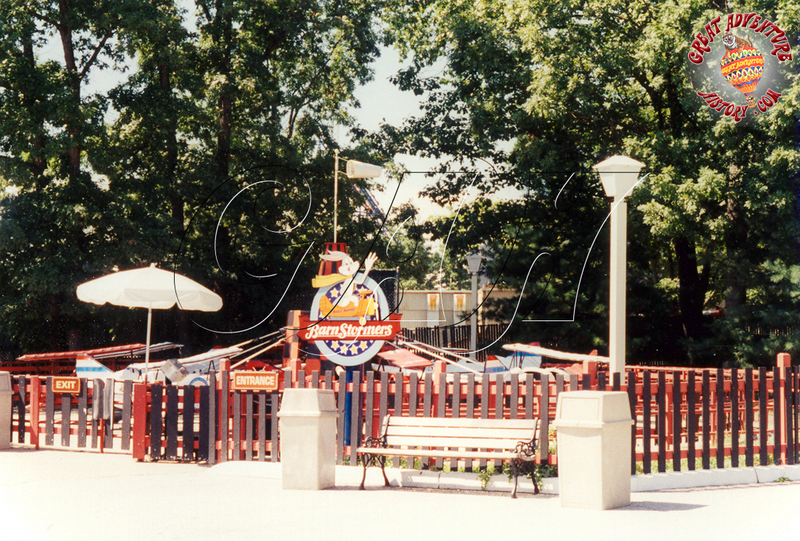 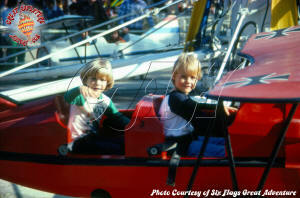 In 1976 when the park's entrance was relocated to its present location, the children's rides were moved to create the new Kiddie Kingdom area. 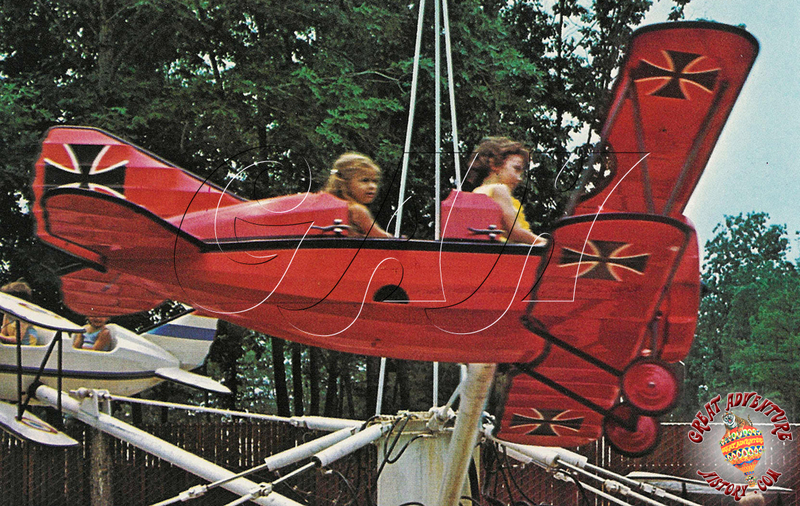 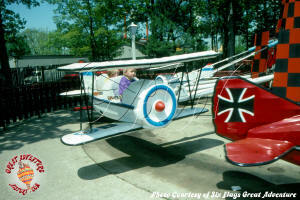 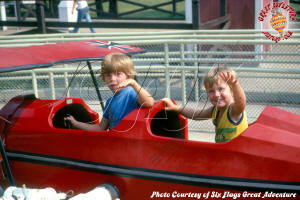 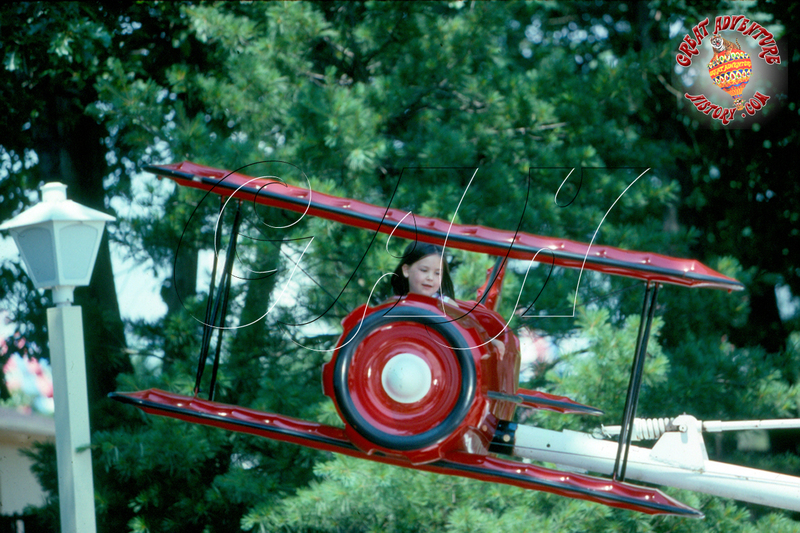 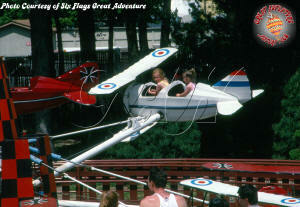 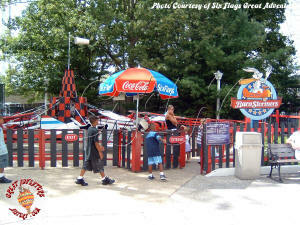 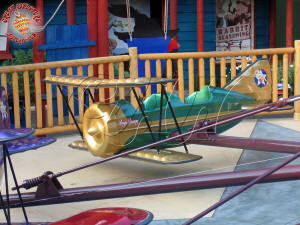 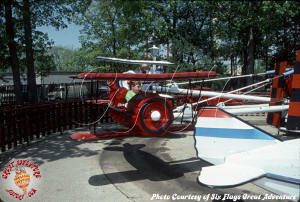 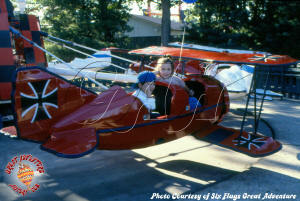 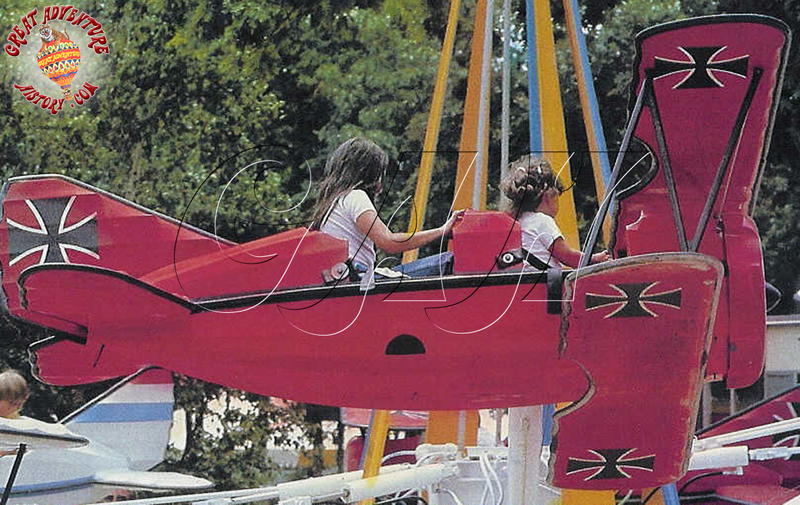 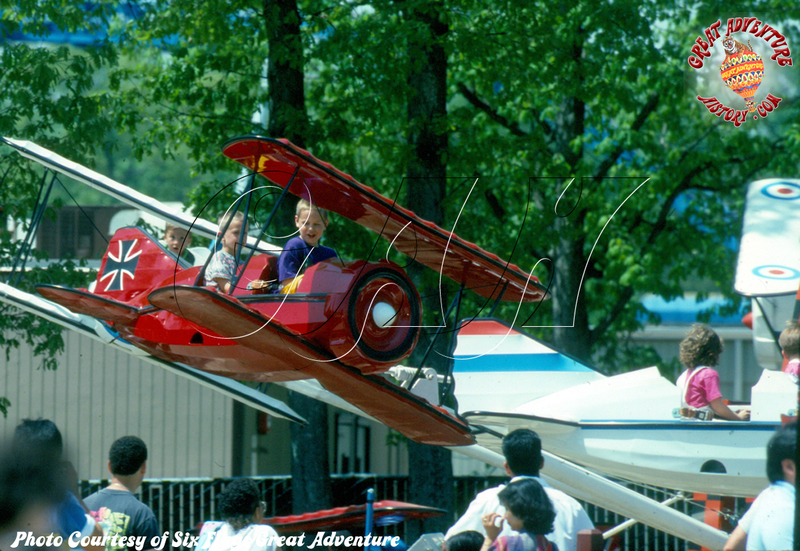 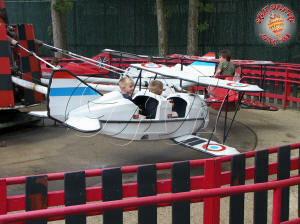 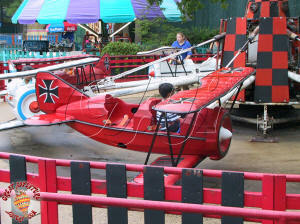 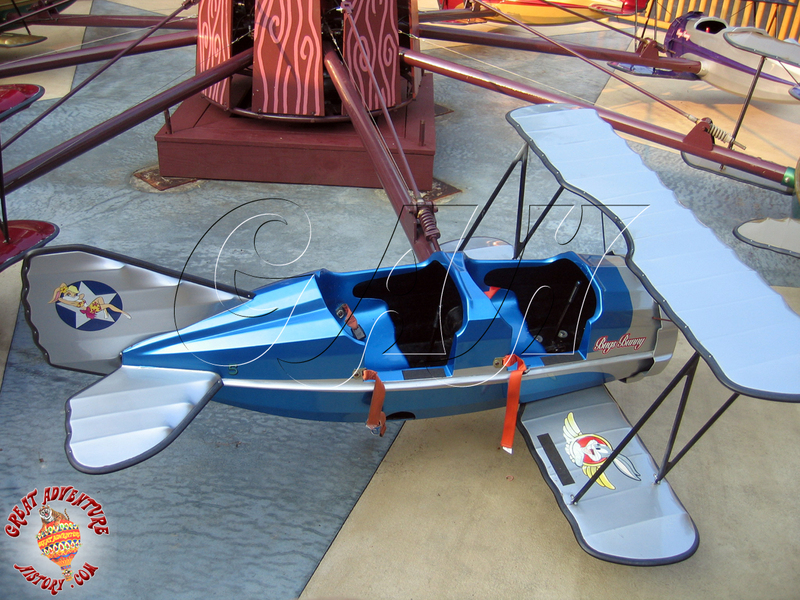 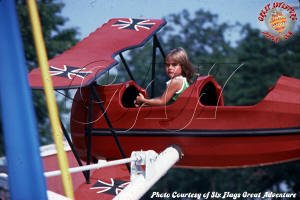 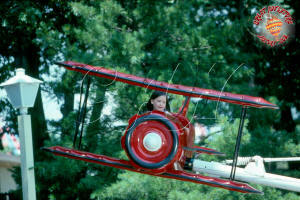 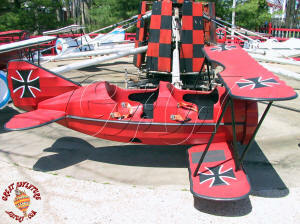 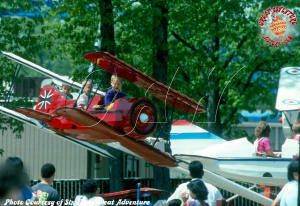 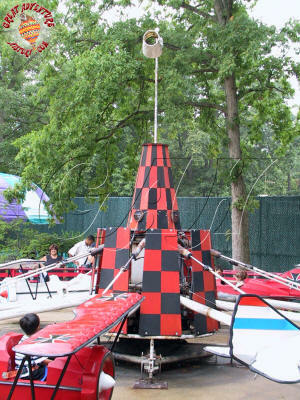 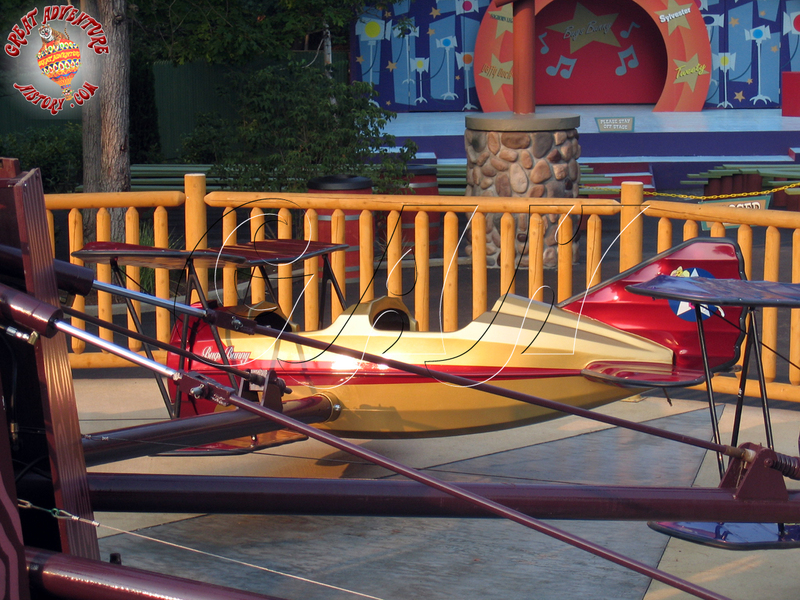 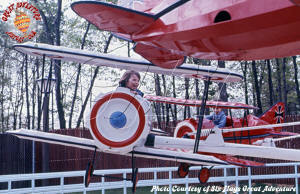 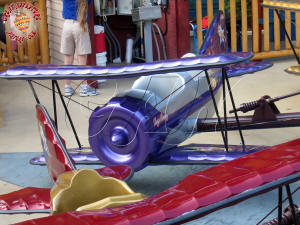 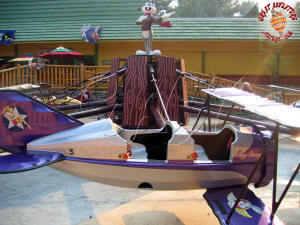 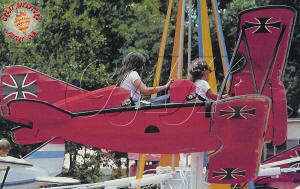 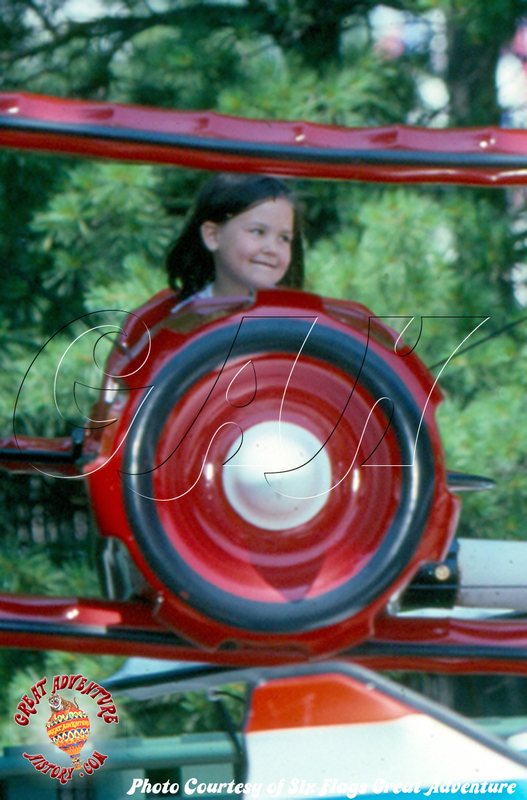 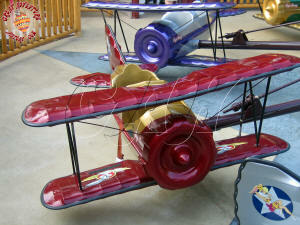 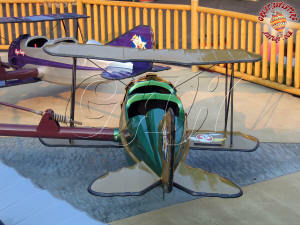 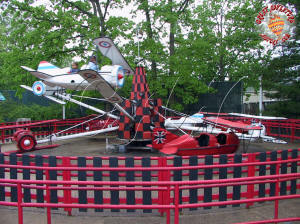 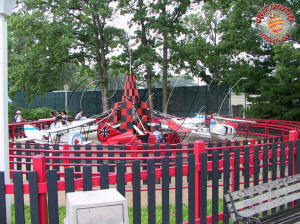 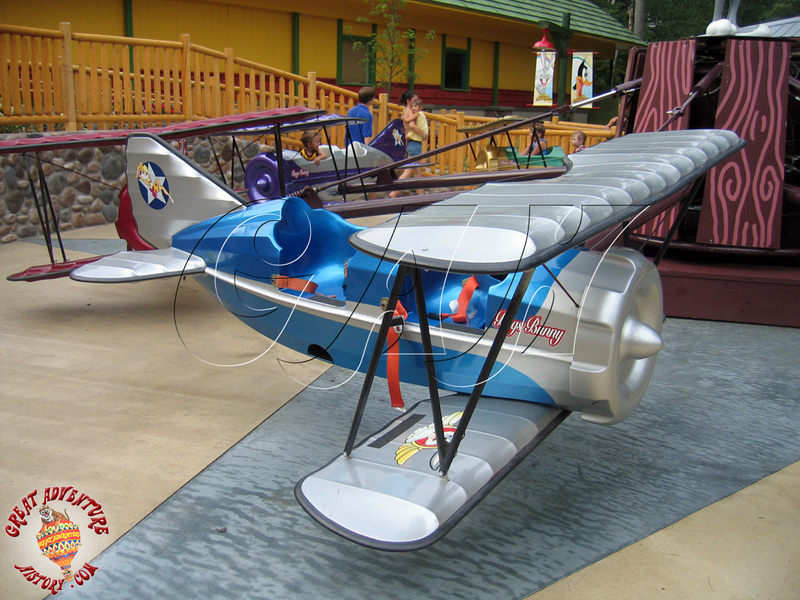 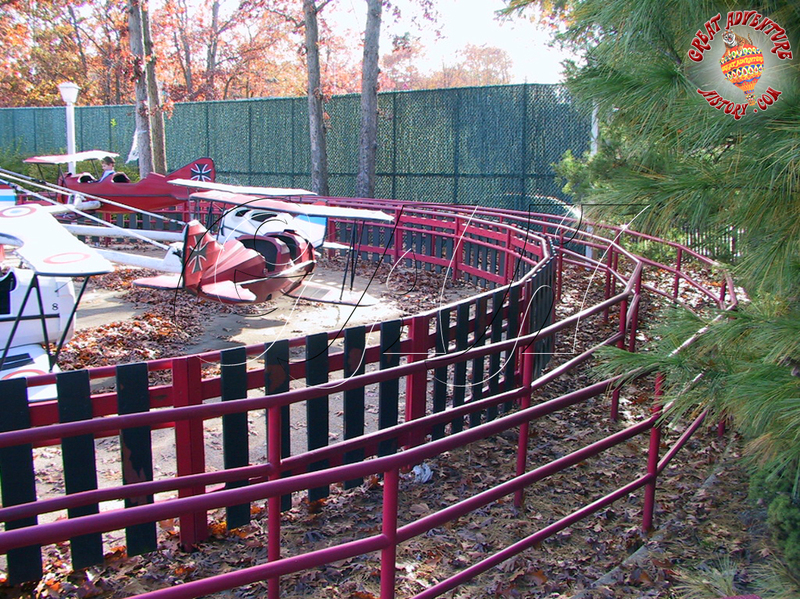 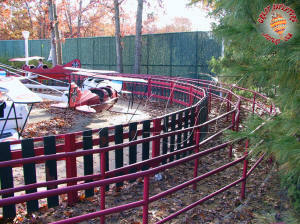 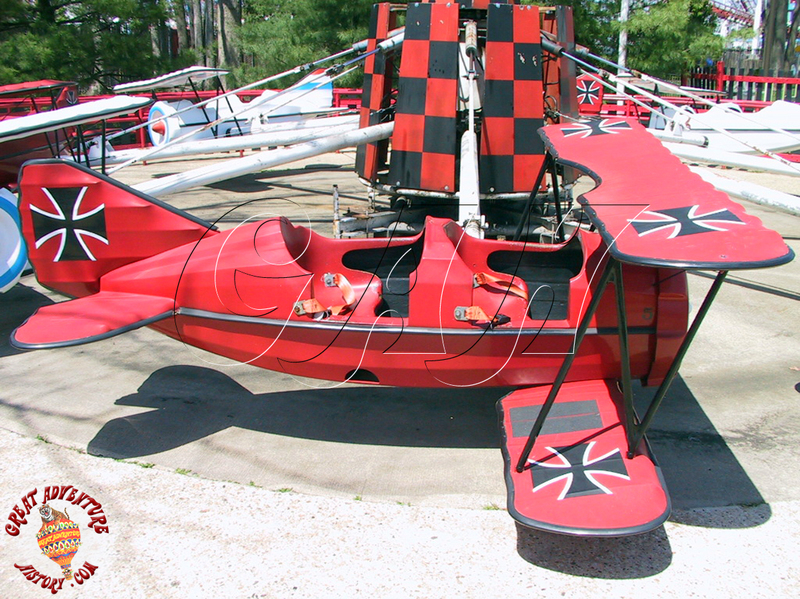 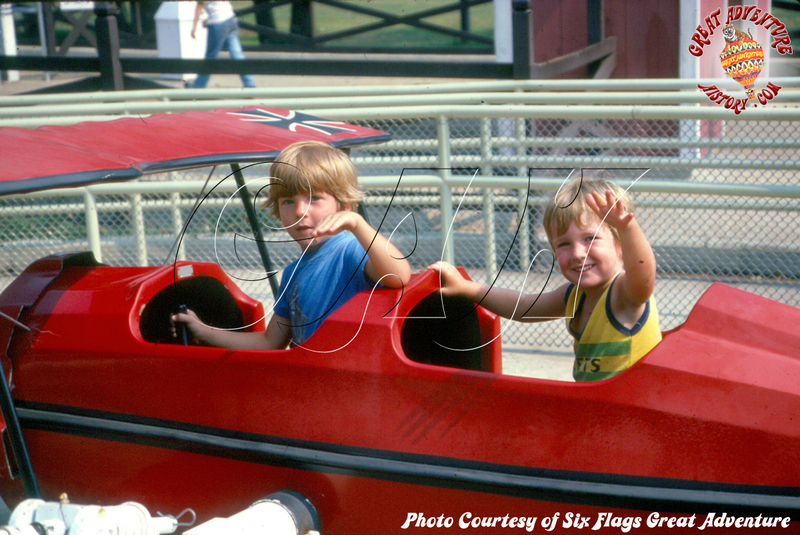 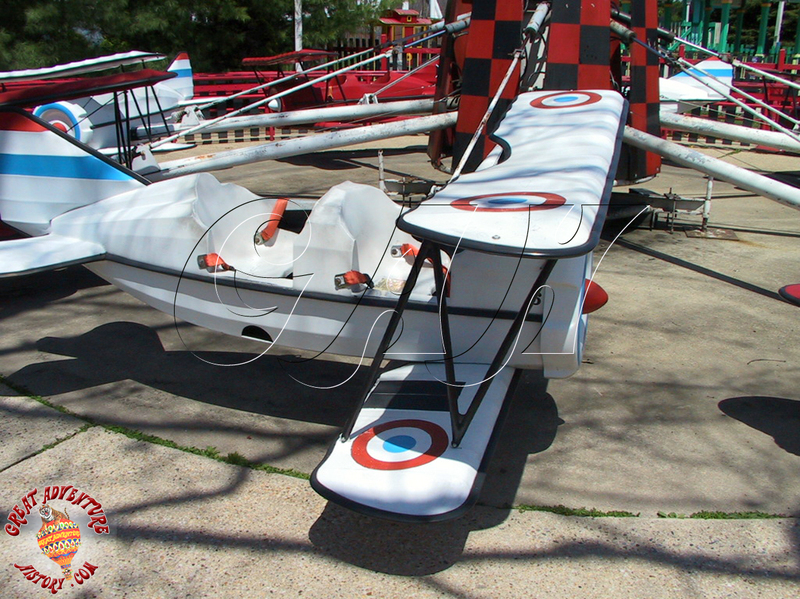 As part of that new area, several new rides were added including the Red Baron plane ride. 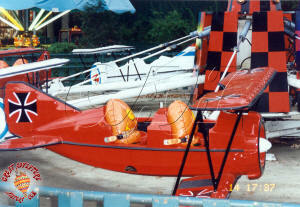 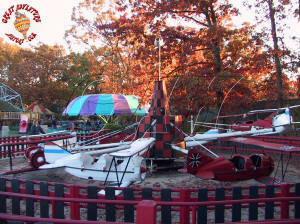 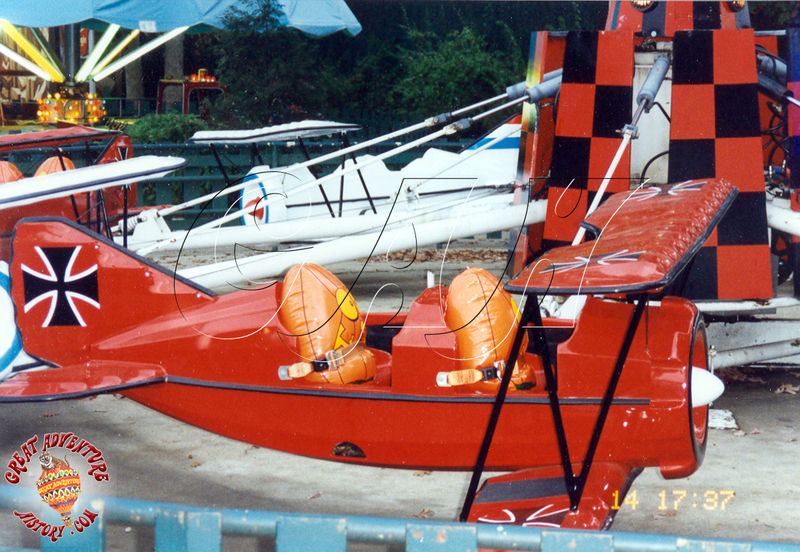 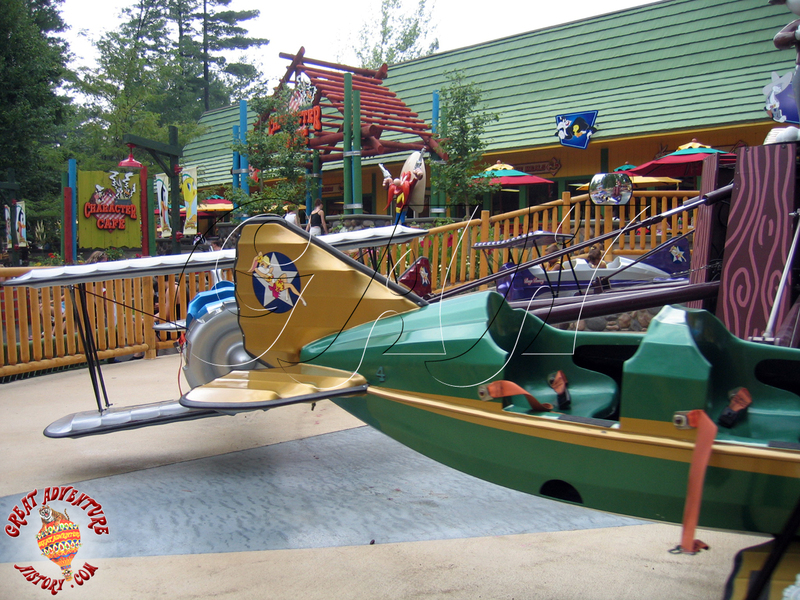 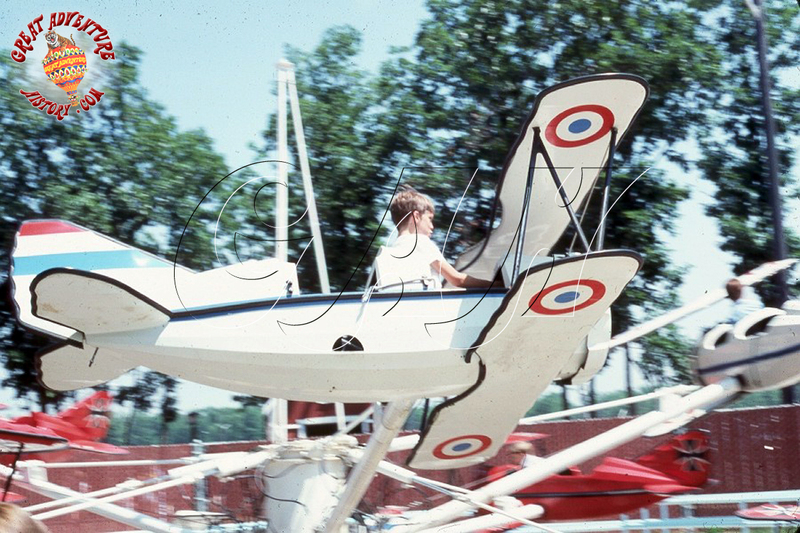 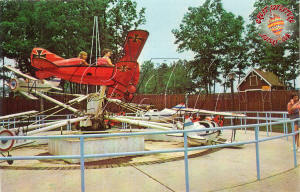 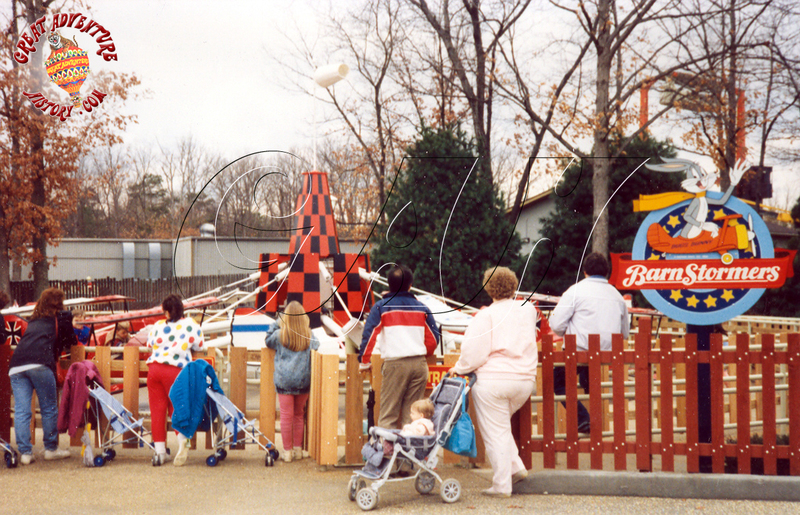 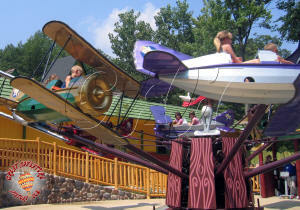 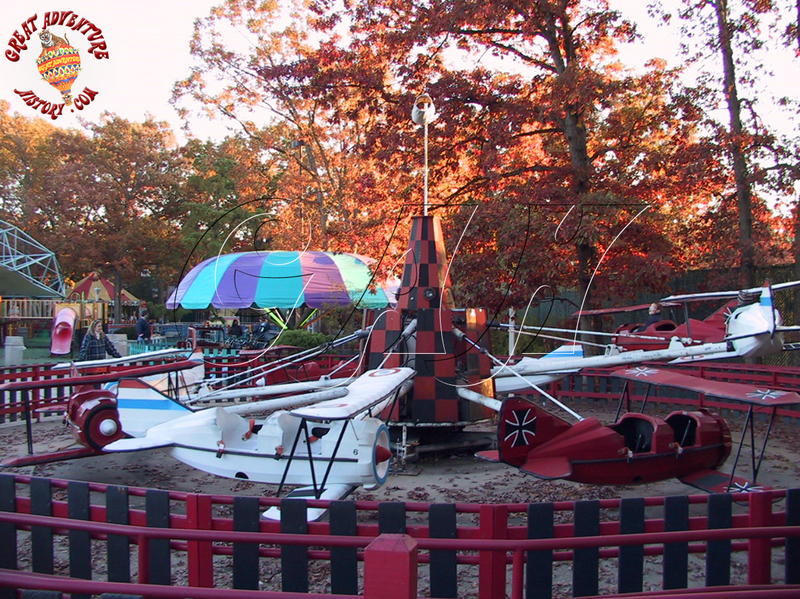 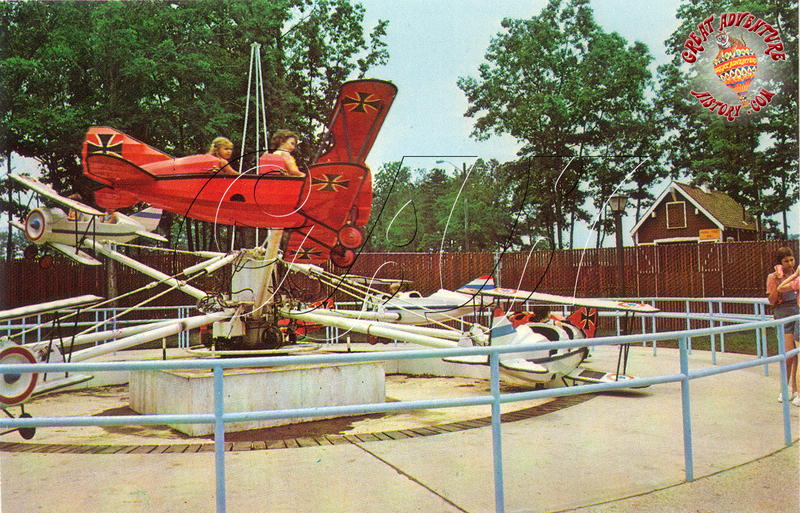 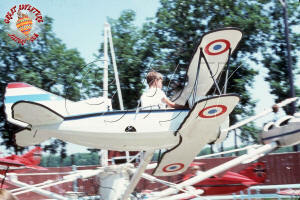 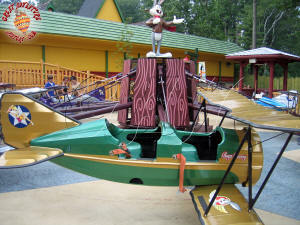 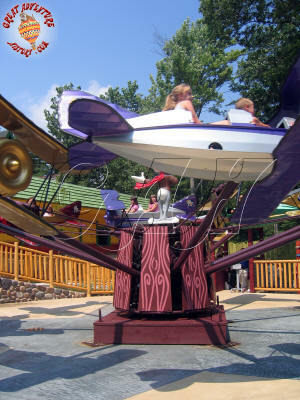 This ride was a newer, larger version of the Helicopter ride that had been part of the park's original children's area, Ride-A-Rama. 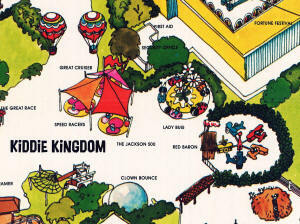 In 1984, Kiddie Kingdom was updated with the arrival of the Shirt Tales characters. 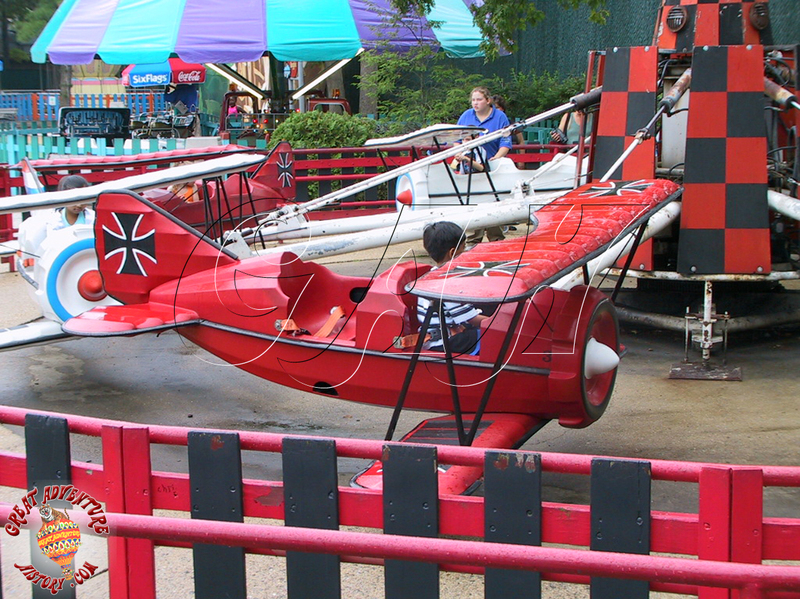 As part of the Shirt Tales Land makeover, the Red Baron was renamed Kip's Fun Flyers. 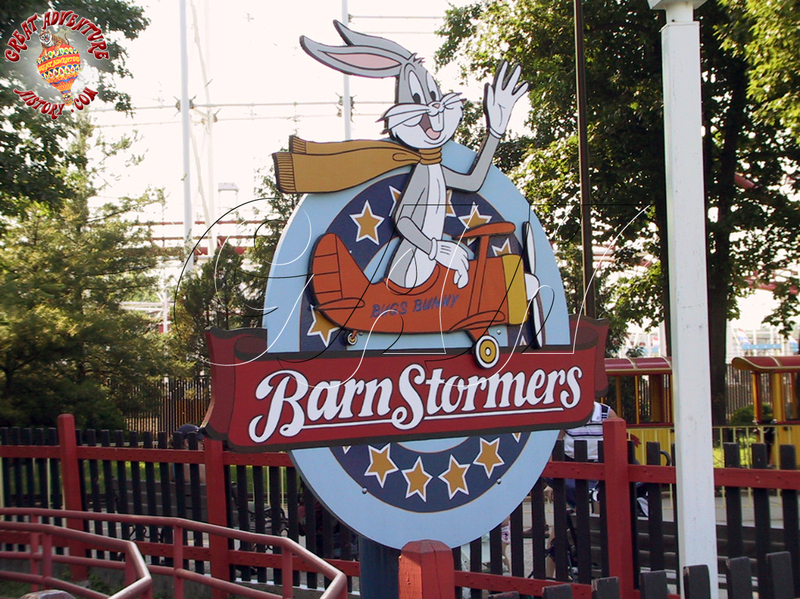 The Shirt Tales theme only lasted one season. 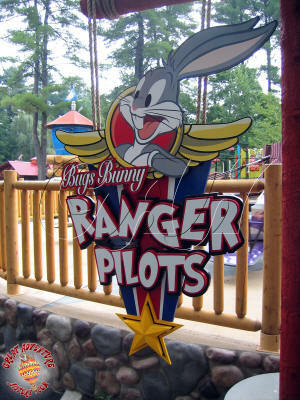 When Six Flags acquired Great America in Gurnee, Illinois from Marriott, they acquired the licensing for the Looney Tunes characters, and for the 1985 season the children's area was renamed Looney Tunes Land. 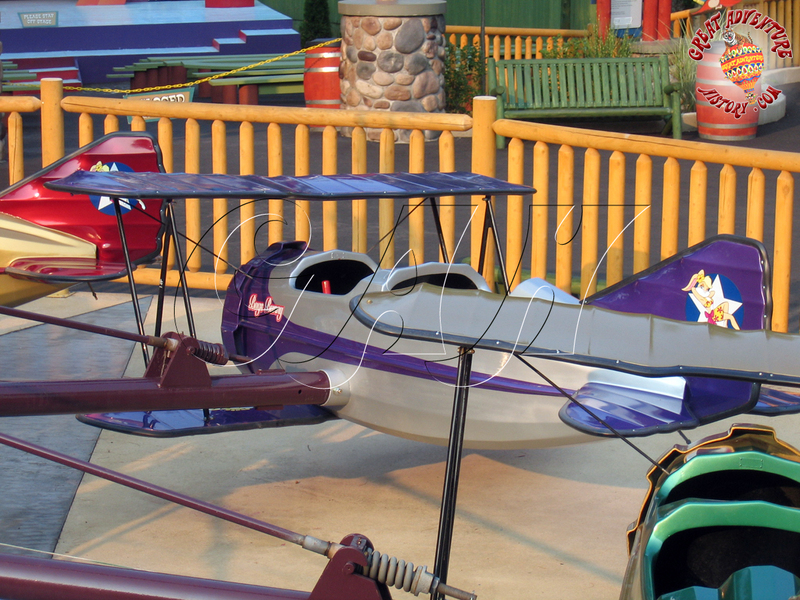 With the new theme, the planes were renamed the Foghorn Leghorn Flyers. 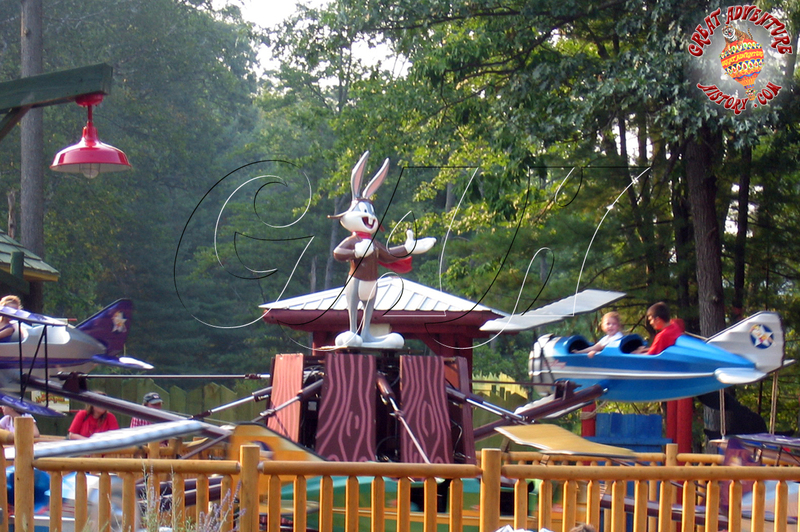 For the 1988 season, Looney Tunes Land received another makeover becoming Bugs Bunny Land. 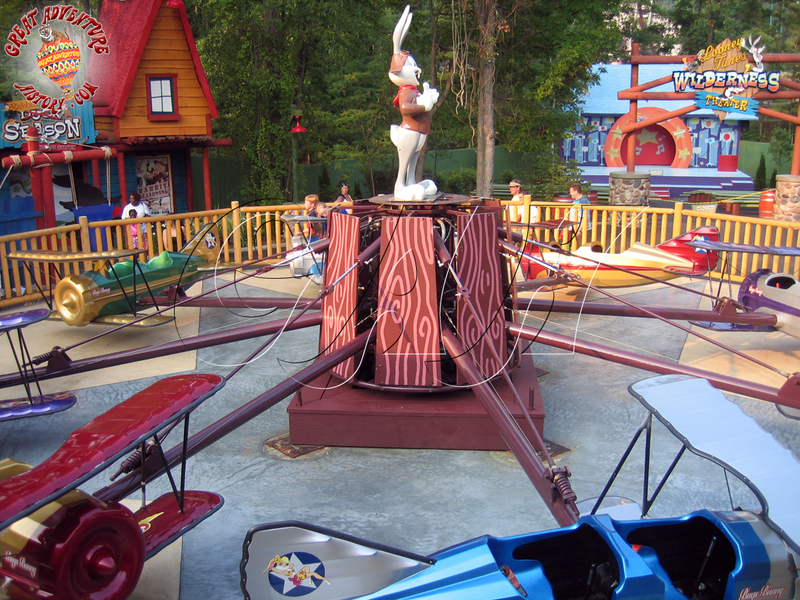 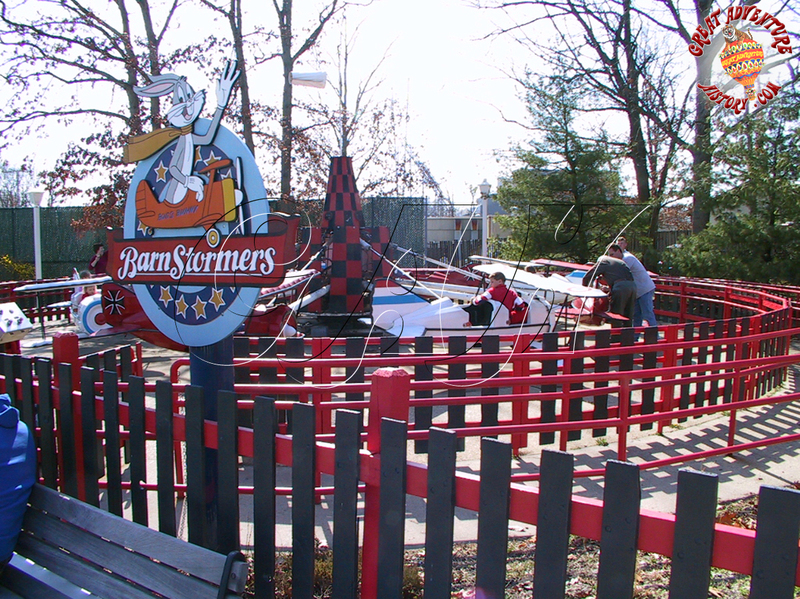 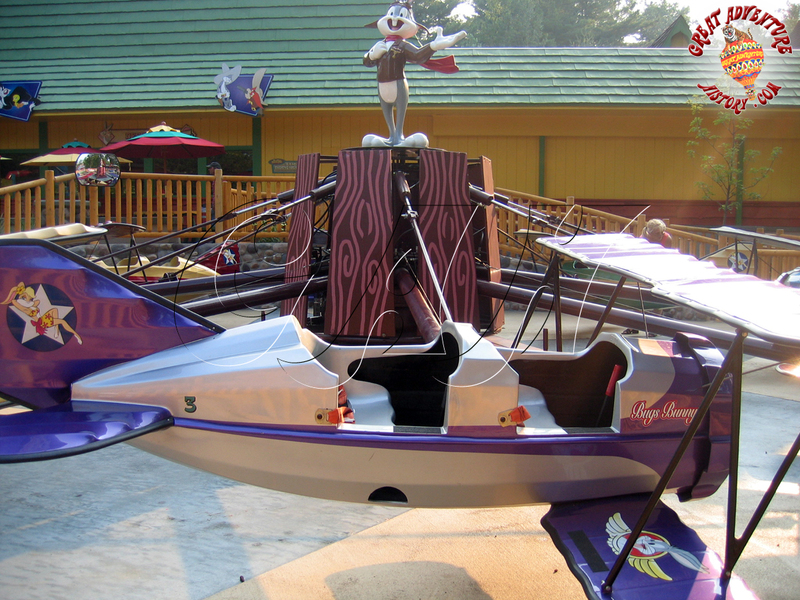 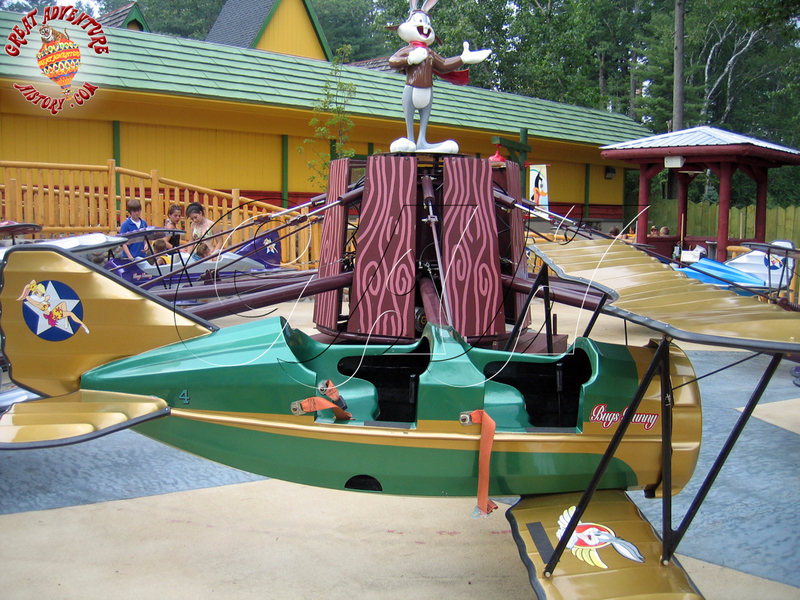 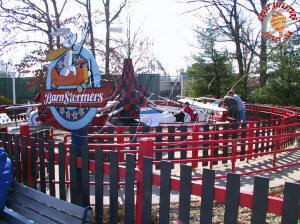 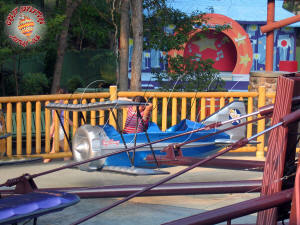 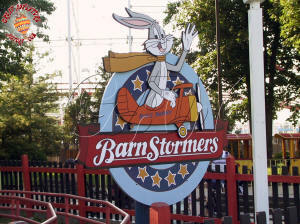 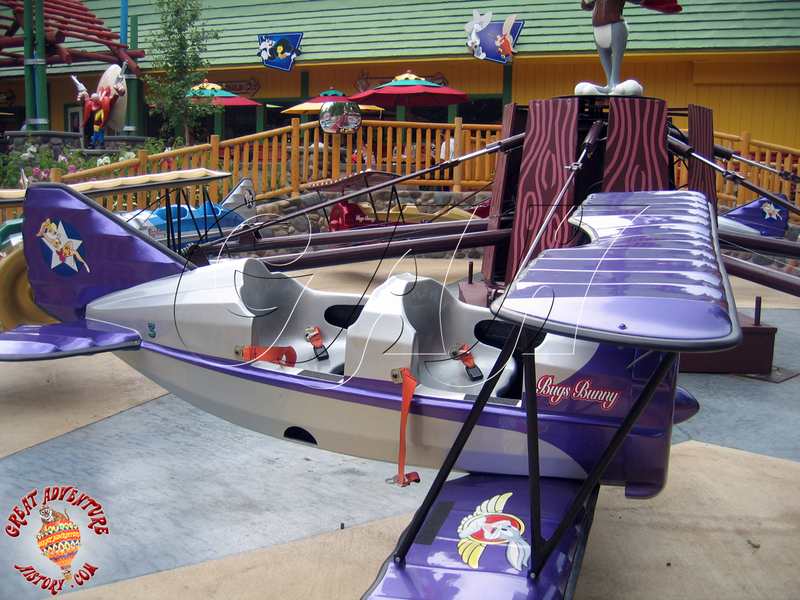 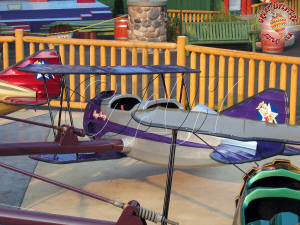 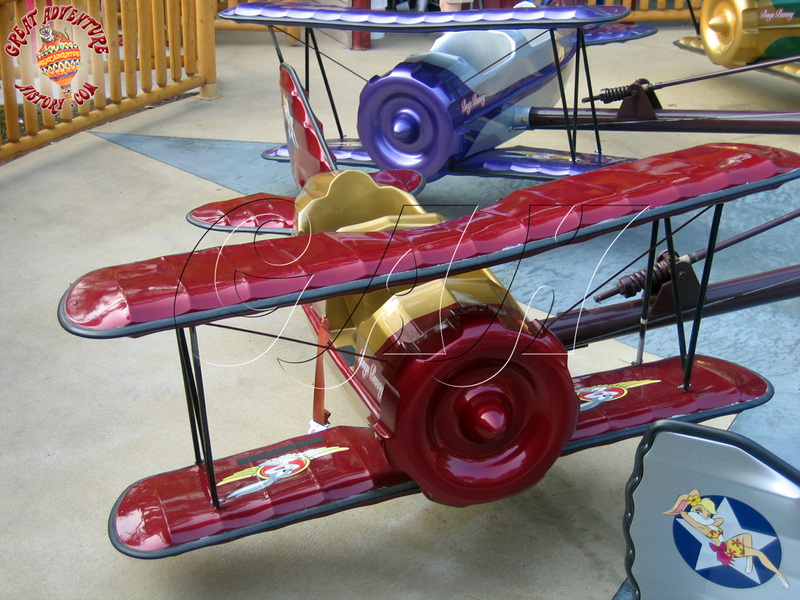 The rides were given a fresh new look and new names as part of the refurbishment, and this time the planes were renamed again becoming Bugs Bunny Barnstormers. 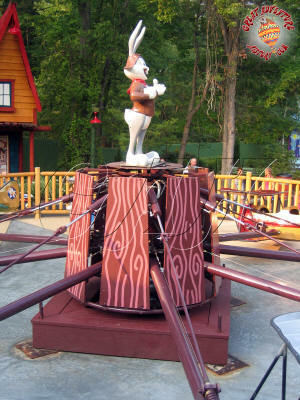 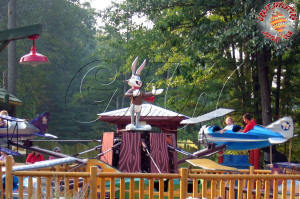 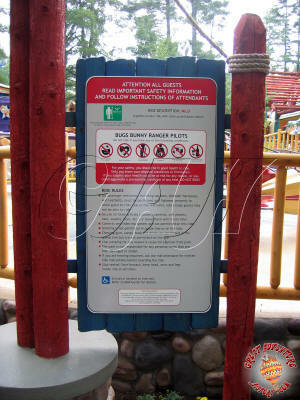 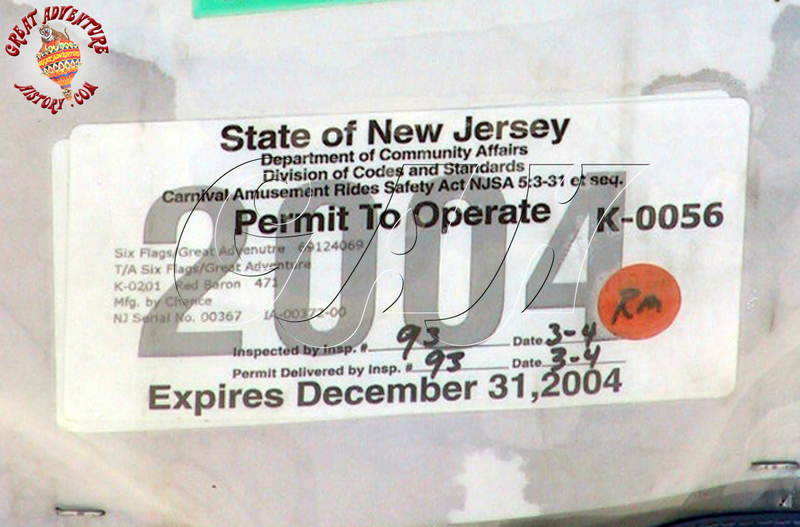 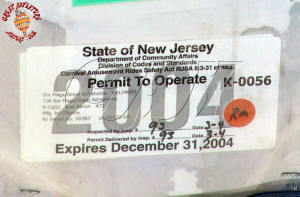 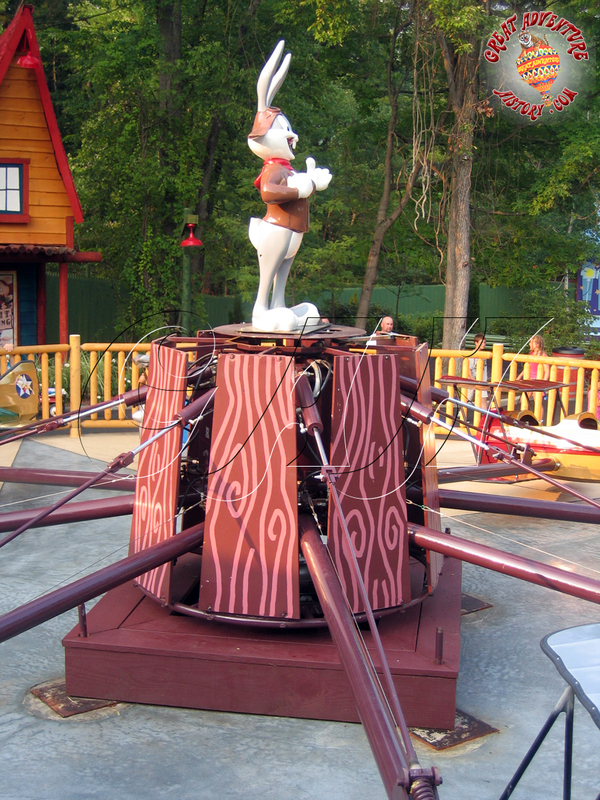 At the close of the 2004 season plans were announced for the demolition of Bugs Bunny Land as part of the reimagining of the area of the park to become The Golden Kingdom for the 2005 season. 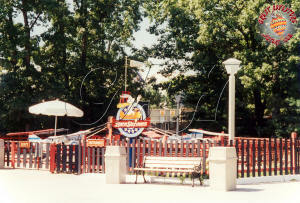 The new themed section of the park would be home to Balin's Jungle Land. 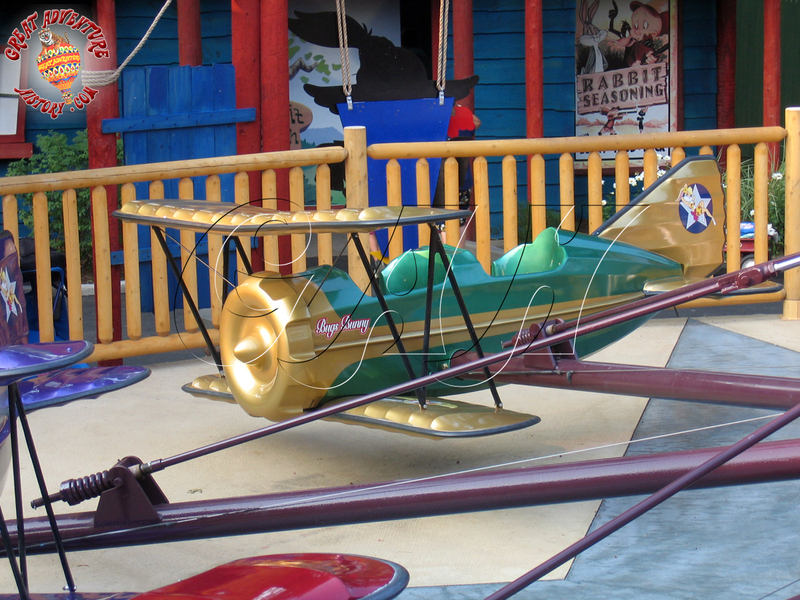 With the new Balin's Jungle Land themed children's section, Six Flags management decided a flying elephant themed ride would be a more appropriate fit, and the elephant ride from the Great Escape was brought to the park. In exchange the planes were sent to the Great Escape where they became part of their new Looney Toons National Park as the Bugs Bunny Ranger Pilots.